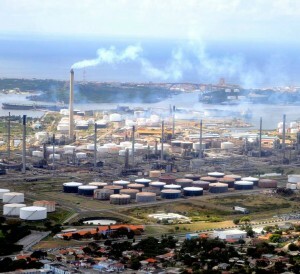 WILLEMSTAD - Curacao Refinery Utilities (CRU), which manages the BOO power plant, denies allegations made by the company The Asbestos Specialist that there are favoritism and corruption in outsourcing operations, putting local specialists dealing with asbestos at a disadvantage. According to CRU, the company's complaints are of purely commercial interests. In an extensive press release, The Asbestos Specialist says that the company was invited last year to write a specification for urgent work at CRU, where work with asbestos was involved. According to the company, the registration has been postponed twice and almost a year has passed and now it understands that another company has been allowed to carry out the work. CRU states in a reaction that the outsourcing process was transparent. CRU stated that a company was chosen based on the ability to make scaffolding, get rid of old insulation and apply new ones. CRU also stated that it was never intended and there was never a contract to remove asbestos material. CRU also points out that at least four different companies that are registered with them as certified in the removal of asbestos. The Asbestos Specialist said to have spoken with the MP for Pueblo Soberano (PS) to address what the company calls 'injustice against local companies'.